Finally, amid all the Facebook games, quizzes, and profile badges is an app that actually enables real cups of food to be served to homeless animals waiting for adoption. I first discovered the Save A Cat application and began fostering kitties in local shelters a few months ago. Here's how it works: You log on each day, pet your animal, scratch their ears, and send them to friends to co-foster. Before you know it, your virtual attention has earned the real animal a real cup of food. Does it really make a difference? Absolutely! Imagine if the millions of people on Facebook virtually adopted a cat or dog? Even better, imagine if they got so attached to their foster animal that they decided to bring it home? I know there are many animal lovers who visit this blog. I want to reward your kind-heartedness toward our furry friends. If you’d like to win either the cat or dog-themed key chain (purchased from the ASPCA) pictured here, al you have to do is my Ellery Adams profile page and virtually adopt and cat or dog. (Click on the Save A Cat or Save a Dog tab on my profile page). Post a comment with your animal’s name and next week, I’ll pick two winners at random. Please indicate in your comment if you prefer the dog or cat key chain. If you’re not on Facebook, you can still qualify to win the key chains by simply telling us about an animal that touched your life. One sentence counts. Here's to our furry companions. Good luck! Zues...dog keychain please. Thanks for the opportunity! 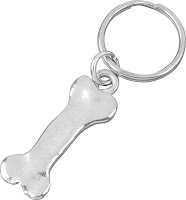 Cheyenne-doog keychain. Thanks and have a great day!! I also go to freekibble.com - there is a trivia question everyday and if you answer you donate so many pieces of kibble to animal shelters. Dogs in my life-Peabody and Sasha. Cats in my life-Elsa and Loki. But I will go over and try to do this FB thing as well. I fostered a rottweiler named Rock! What a sweetie!! We are big animal family. We currently have two miniature schnauzers (Pepper and Hannity), a shelter rescue siamese (Olivia) and a hedgehog named Marion. I just virtually fostered a beautiful Airedale in Arizona named Henry. If we owned our house one of the first things I'd do is contact the Airedale Rescue group and give one a home. They are so beautiful. Oh this is up my alley. We are a big adoption family as you all know my boys are adopted and we have 9 sibearian huskies that are all rescues and 5 cats that are all rescues. I would not know what to do with out all my babies. I will go and adopt a cat or a dog have to decide lol. Okay, here I go. LOL. Maybe I'll get Doug to do this. He does our Free Kibble every day. Either key chain would be fine. Thanks! We don't have any pets right now. We gave up our last one almost 6 years ago cause I had a new born baby and was strugglign to take care of him and the cat. I felt horrible but knew he would be adopted immediately since he was such a sweetie. The other cat in my life I miss is Sushi. She was a pure bred lilac point Siamese. She was put to sleep when I was 12. She had cancer. She was such a lap baby all her life. Shelby is my beautiful Corgi. Sandy, my White German Shepherd who we adopted in 2001 from the animal shelter. And thank you for the info about the facebook app. Okay, I went to the site and before I was done I signed up to foster two cats, Donita and Gulliver, both gray, both adorable and both in the St.Louis area. I want the cats. Hello, I have been doing Save A Cat for a couple months now. Today I fostered Kendra, a kitty in Canal Winchester, Ohio. Sparky, our chocolate cocker-spaniel was rescued from the Lexington Avenue line on the NYCity subway.Dog chain please. I have 6 westies at home. % of them have been adopted through a rescue group. My town only allows 5 animals total. So I am over, but I still foster rescued westies when I am needed. Lately it's the seniors. Wished I lived in the country so I could have more. I vitually fostered Frankie a westie mix who was beaten by a 2x4. I would love to really adopt him. Allmy dogs are special in my life. I went and fostered Coco Chanel, a Siamese in Brooklyn, NY. Our own cats are Sinatra (a Siamese, of course), Buddy (orange longhair) and Mooch (Singapura Calico). Cat keychain, please :) What a great idea! We have two beautiful and very loved dogs. A mini Schnauzer, Bonita,5, who also knows commends in Spainsh. A Italian Greyhound, Ophelia, Just turned 2, June 6th. Who is named after Shakeshere's Ophelia. They are so wonderful. We really feel that God put them in our life at the times we really needed them. They make us laugh and smile all day. Can never picture our life before we had them. I would like the doggie keychain. I adopted Misha, a beautiful little girl who reminds me so much of my Russian Princess, Miss Kitti. She crossed the Rainbow Bridge on 11/30/05 and will forever be in my heart. Thanks for telling us about this site. A cat key chain if I'm picked. Just adopted little Pluto, a really sweet cat! And I prefer the cat chain. I'm loving all the animal names I'm reading here. It's be so much fun to see who you've picked! Great work, everyone! I adopted Diane the Calico and I prefer the cat keychain. I must be in a fog, too. Went to Facebook page, couldn't find the link...I am fairly technologically inept...and blonde..so will keep looking for the link to help out. Dillon is my foster! Dog keychain, please. I have Roxie and Johnny Bill, two wonderful cats. In memory of Ruby Petunia, I will adopt a cat once I get facebook straightened out (I think I got a virus from it, and somebody told me to change my password). I've "adopted" Tyson, an American Eskimo from Redding, CA. He reminds me of one of the two AEs that we had several years ago. Most all our pets have been rescues. At this time we don't have any, but we couldn't afford the food and care they need right now as I'm the only one working. The first dog I virtually fostered, Henry, found a home. So I went back and virtually fostered two more Airedales. Would love a Cat keychain for Skylar. Just adopted a Cat and Dog from the Humane Society. They are getting along sooo well I'm thrilled.